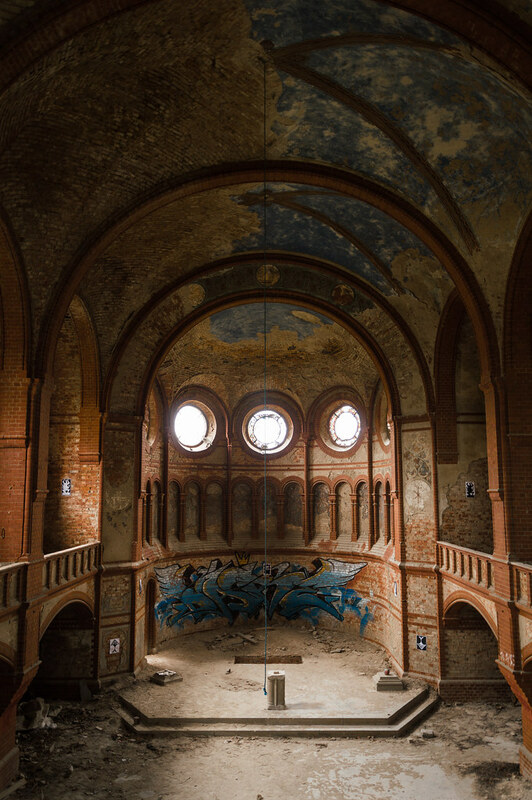 During one of our urbex trips we came across this derelict church. Already half a century ago this place was abandoned by its parish. And so it has been looted by men and partly conquered by nature... Today the former glance can only be guessed. This brick building never got a real name, and so it is being called “Red Church” till today. 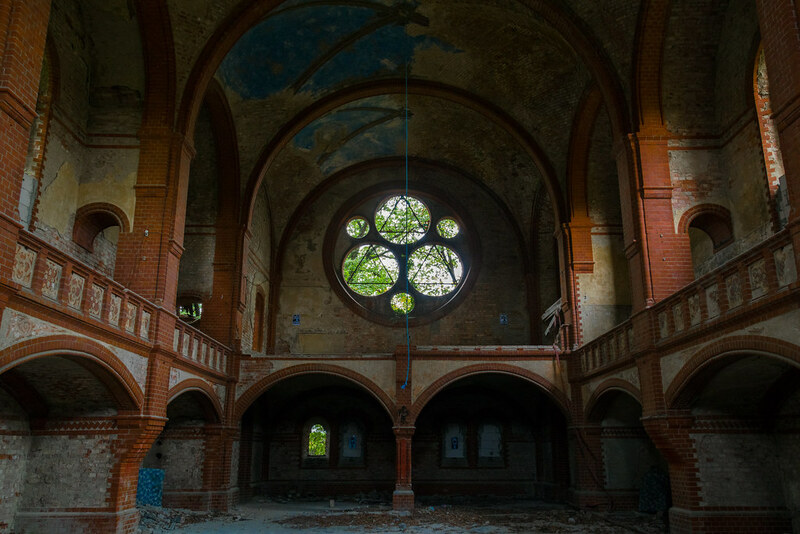 This church somewhere in Eastern Germany has been consecrated in 1894. It was built in a neo-Gothic style and characteristics of this era can be discovered everywhere in the nave. The church was a project of the townsfolk. Thanks to the sugar beet growing they had become wealthy and full of enthusiasm they decided to use their money and build this Lord's house. 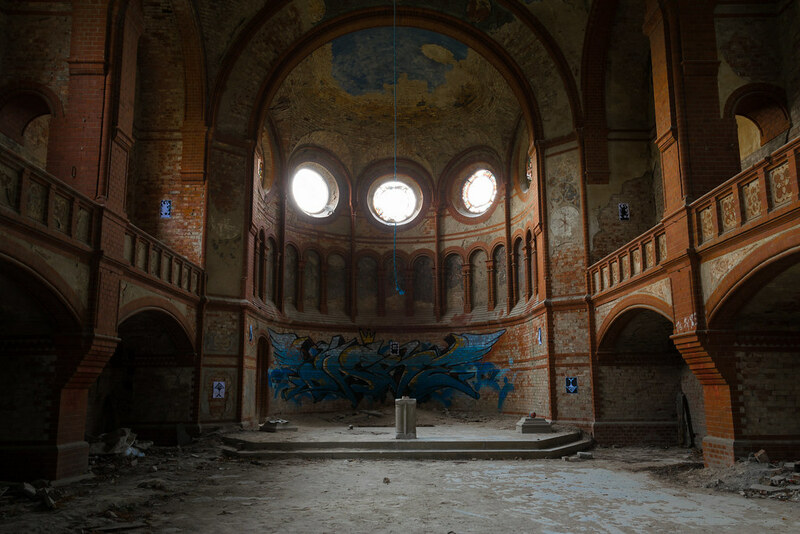 Once, there were hundreds of seats in the church. Their old house of prayer from the 10th century was left behind by the parish. But the citizens had overextended themselves and the maintenance costs of the big building were extremely high. So the Protestant Christians moved back to their old place of worship and the Red Church had no use anymore. Since then this church has been falling into disrepair ever more. Parts of the roof have already collapsed and the whole building resembles a ruin now. The political changes of 1989 awakened new hope. The church went into private hands. But shortly after that, the owner went bankrupt and the building became part of the insolvency estate. Until today, all attempts to safe the church were in vain. Four years ago the city purchased the church. Now it’s considering the demolition of the site. Half a century after the building has been abandoned. It’s sad to see how the church has been decaying for years. Once it was the pride of the townsfolk but now no one is interested in the place anymore. 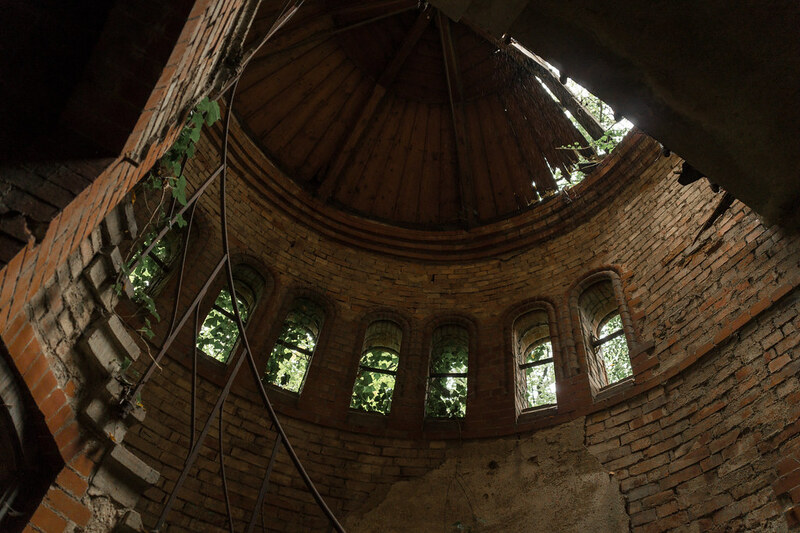 No one – except urban explorers like us. Beautiful as always, thanks BWT. I appreciate the wonderful architecture it speaks for itself.